You know that you have to maintain mechanical equipment if you want it to function at its peak and deliver optimal longevity. This is why you take your car for an oil change every few thousand miles and why you service your HVAC equipment regularly. However, when it comes to your HVAC system, you need to do more than just clean and inspect the furnace and AC unit. 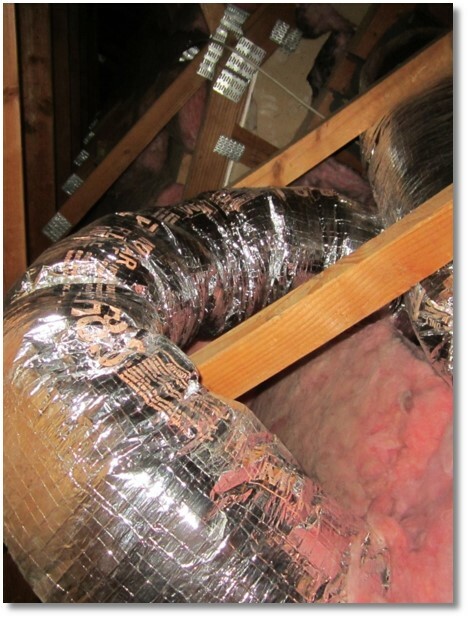 You also have to check your ductwork periodically to make sure it, too, is clean and functional. Over time, your ducts can suffer buildup of dust, dander, and other particulates that get blown into your living spaces every time you adjust the thermostat. Ducts can also become a home for pests, or if you have the wrong ductwork for your climate, you could suffer condensation that creates ideal conditions for mold growth. The point is, you can’t neglect your ducts. You need to inspect them periodically to make sure they’re clean and in good working condition. How often should ducts be cleaned and when should you replace them? Here’s what you need to know. The good news is that you don’t necessarily have to get ducts cleaned and inspected every time you have an HVAC service. The National Air Duct Cleaners Association (NADCA) recommends having your air ducts cleaned every 3-5 years on average. However, you’ll have to take several factors into consideration when determining the best time frame for your home. The frequency with which you clean air ducts may depend on how much you use your system, whether or not there are a lot of particulates (like dust and dander) in your home, what type of filters you use and how often you replace them, and so on. In addition, you may want to clean more frequently if you or your family members have allergies. If you start to notice a lot of dust buildup around vents, it’s probably time for a cleaning. You should also schedule an inspection if there are visible particulates floating out of vents when the air is flowing, if you smell something foul or moldy, or if you suspect pests like vermin have been nesting in ducts. When Should HVAC Ductwork be Replaced? Even with regular cleaning and repairs, your ducts may need replacement at some point. You can generally expect air ducts to last for at least 10-15 years, after which you may start to experience problems like gaps or collapsing sections. Your Rowland Air HVAC ductwork professional can inspect and offer solutions when issues arise. How Often Should You Have an HVAC Inspection? With regular HVAC inspection, you can keep mishaps with your system to a minimum. You should schedule visits in the spring and fall to inspect and clean your AC unit and furnace, respectively, and check on any problem areas that could become major issues without repair.